After discovering the Trifold Shutter Card's technique, we were still hungry. Hungry for other types of cards. 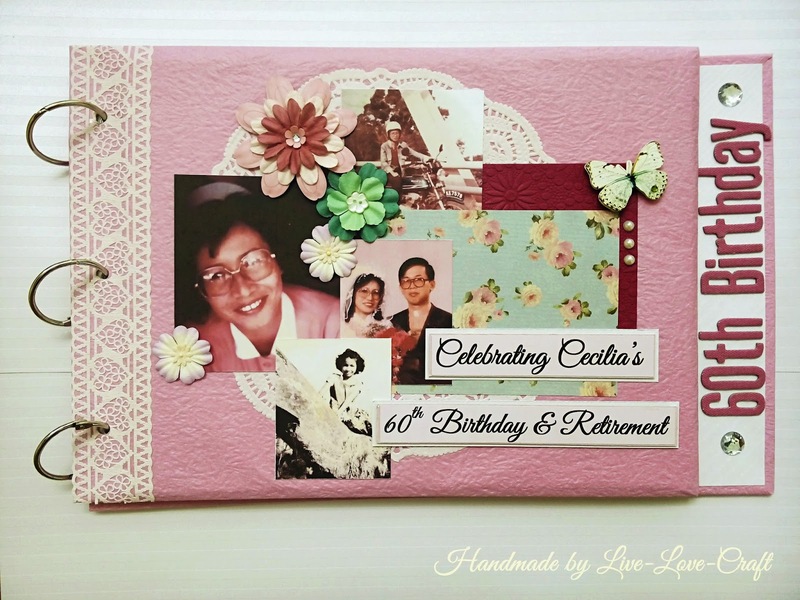 And I happened to browse a blog of a lady who's also doing the Trifold Shutter Card, when I saw that she also has ventured on another card type; the Gatefold Card. 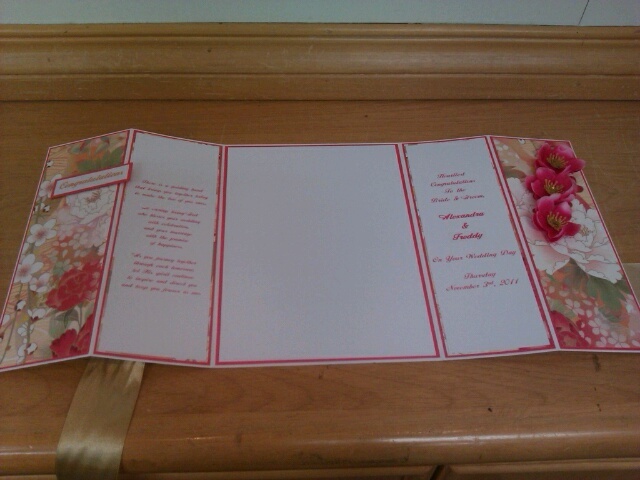 Her card was gooorrggeeooouusss, I tell you! I couldn't take my eyes off of it for about 30 seconds. Haha! 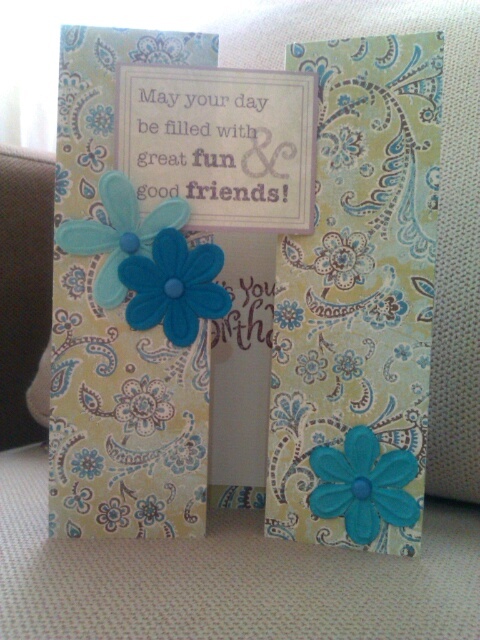 And I also found out that the technique to do the card is a lot more simpler than the Trifold Shutter card. I didn't wait long because as we reached home that night, after getting whatever needed to be done in the household, and got the little man to sleep, I headed straight to 'work'. Within less than an hour, my first ever Gatefold card is almost done. 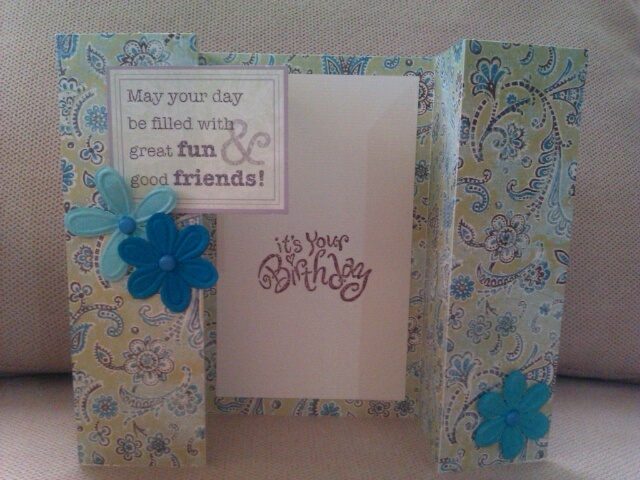 I only needed to add a large gold ribbon to complete it and was so happy with the outcome after I got the large ribbon (bought it from a craft shop nearby) the next day, and adhered it to the card. Yippiee! 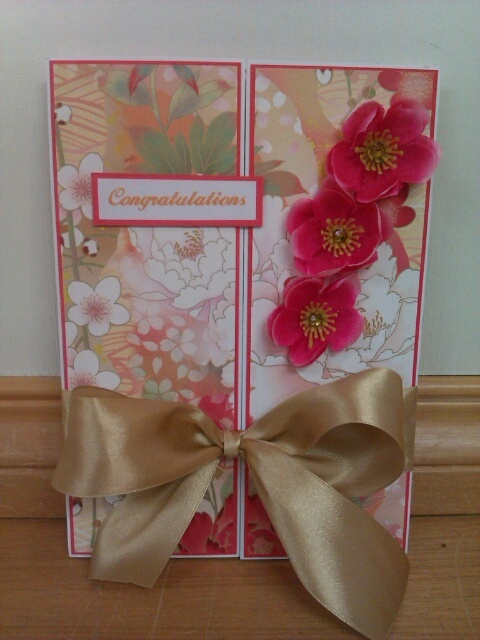 From then on, I have made another 5 more Gatefold cards! Here, I am going to share 2 of them with you first. Enjoy peeps and keep crafting. Tootles!